It’s the final count down … and we’re not talking about the number of reps! The holidays are here and it’s time to cheer because this is the final week of our ‘Stay Fit for the Holiday’s’ series!!! The past 7 weeks were filled with progressive workouts that built upon the previous weeks. These workouts were developed to keep your mind motivated and your body moving while enjoying the holiday festivities around you. Since this is one of the busiest times of the year, I’d like you to enjoy the moment and appreciate all the efforts you have put in to the 8-week series thus far! This week is a combination of ALL the exercises you have learned from day 1. Now let’s go over this final weeks plan and learn the exercises of how to get a ‘Tight Package’. This is the 8th week of the holiday program; so if you’re just joining in now, you have the option to refer back to week 1’s blog for the full program details and start from the beginning or you can pick up with week 5’s blog. I recommend printing or saving the 8-week schedule to your phone/notebook for an easy reference plan (found in the first week’s blog) as well as each new week’s workout. Listed below are the holiday goals along with the 8th week’s ‘Tight Package’ routine. NOTE: Week 8’s workouts contain exercises from the previous 7 weeks. Therefore, if you have been following the series consistently, the exercises will be familiar when performing the workouts. You have the choice to mix and match the workouts you have learned yourself. The key is to have fun during this final week of the series! * Look over the exercises and review the previous weeks videos for each day before performing the workouts. Follow the plan listed for each day. On the Tight Package Core & Cardio day, perform each exercise as a circuit (one after the other with no rest). – Perform 10 reps for ALL exercises, 1-2 sets. NOTE: Check out the video to see how these exercises are performed. Be sure to spend a few minutes stretching or foam rolling post workouts. 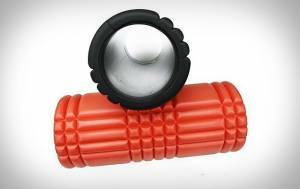 This will help to recover your muscles and to prevent injury. Be jolly knowing that you have worked hard throughout this seasonal time and that you’re the most special package you could give to anyone this season! Happy Holiday’s & enjoy making this season special. Previous PostHoliday Stress? Total Gym Routine to the Rescue! How do I print out the 8 week tight package Holiday workout?